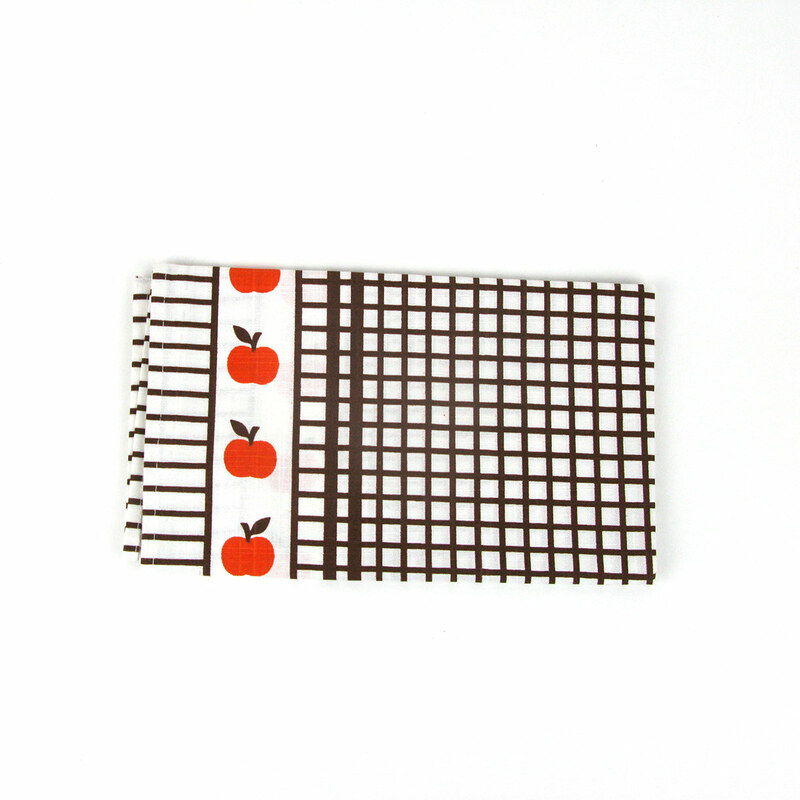 A 100% cotton tea towel with a retro design of orange apples and brown checks. 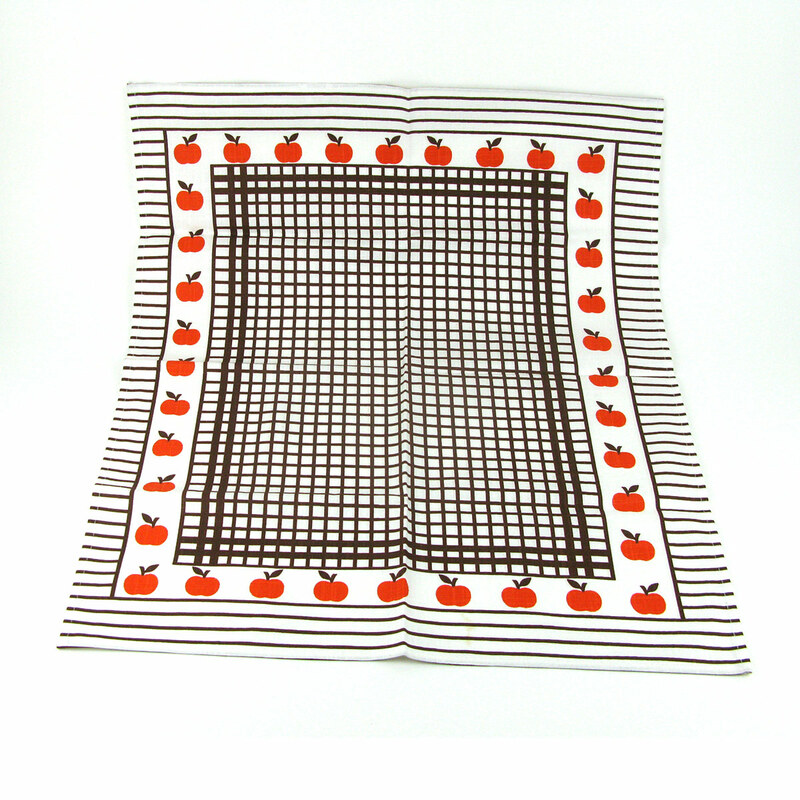 A brand new, 100% cotton tea towel with a retro design of orange apples and brown checks. Also available in blue and green. These were found in an old haberdashers shop in Southern Poland. A lovely retro-looking item but in brand new condition.